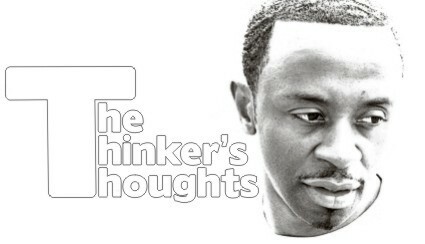 The Think Movement by J. Sakiya Sandifer » who am i not to judge? Often when one is labeled with the term “judgmental”, it carries a negative connotation…and of course I strongly disagree with that notation. By definition, judgment means “the ability to make considered decisions or come to sensibleÂ conclusions”. Â So I ask you, how can you determine what you want out of life without making some type of judgment? Â By default, every time you say Â ”yes” to something, you’re saying “no” to something else…and who’s better than you to determine which one is best for you? Now what I strongly disagree with is when one condemns once a judgment is made. Â Regardless of how much someone believes in what they believe in, it doesn’t automatically mean that those who don’t are wrong and some type of punishment is now required. Â Your personal beliefs should be just that…YOUR personal beliefs…and the only person who should face consequences for not living up to them is YOU! I never quite understood why so many people require outside validation on their belief system. Â Especially since there’s no one who’s ever above doing something that someone else thinks is a total waste of time. Â It’s funny as I wrote that sentence, I wondered if I was wasting my time in writing this…LOL! In all seriousness, in my life time, I’ve never known a successful person who wasn’t judgmental…and likewise, I’ve never known an unsuccessful person who was…THINK ABOUT IT!! !